Hostages taken in a jewelry store in Montpellier, Southern France, have been released after the man holding them surrendered to police. The incident evolved shortly after hostages were freed in Paris and Charlie Hebdo suspects killed in Northern France. Montpellier prosecutor Christophe Barret confirmed to reporters that the gunman was arrested and the two hostages were released and are in good health. 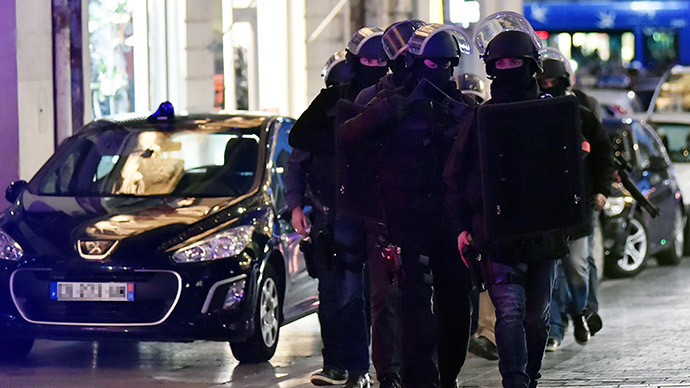 Barret also said there was no attempted robbery and stressed that the situation in Montpellier was not connected to the earlier events in Paris and in Northern France. Authorities did not provide immediate explanations as to the gunman’s motives. Overall, negotiations between the police and gunman lasted for over eight hours with hostages remaining inside the store. The two individuals were taken hostage by a gunman, who walked into the store, located in the center of Montpellier. They were identified as female employees 30 and 40 years old. The suspect reportedly held the hostages at gunpoint when special police forces arrived on the scene, along with the region’s prosecutor and the city mayor, and the area was surrounded. A police negotiator quickly managed to establish contact with the suspect. People from the surrounding shops were evacuated by the police and the electricity was cut briefly to prepare for the police attack to release the hostages. The incident in Montpellier has caused a new wave of panic in France as it followed less than an hour after the Charlie Hebdo suspects were killed in Northern France and a hostage siege in a kosher store in Paris ended, where a gunman and four hostages were killed. Earlier, witnesses described a pause in the police operation. Following a 20-minute outage, lights were turned back on. “There is nothing going for now, there has been a power outage for 20 minutes and it came back. Police said nothing and retreated. It's quite disturbing,” an individual who lives next door explained.